Since releasing the first Fieldbus FOUNDATION™ -registered devices in the world, Yokogawa has been endeavoring to improve their efficiency and usability in order to maximize the potential of intelligent fieldbus devices. This paper describes some aspects of our recently released fieldbus devices: (1) addition of the software download capability, (2) reduction in current consumption of field devices and improvements of function block's execution time, (3) addition of valve diagnostics performed with valve positioners and a PC tool program. The paper discusses the benefits that these fieldbus technologies bring to users, and outlines the future direction of fieldbus device development. Progress in digital signal processing and network technologies has enabled advanced functions which cannot be achieved by traditional field devices with 4-20 mA signal, to be implemented on field devices. Standardization of international fieldbus specifications, notably the FOUNDATION™ Fieldbus, has enabled users to build optimum field networks comprised of freely chosen field devices from various device vendors. 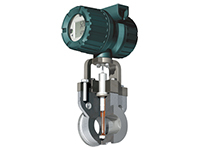 Since the fieldbus- enabled EJA pressure transmitters and YEWFLO*E vortex flowmeters were released in 1998, Yokogawa has been extending its range of FOUNDATION fieldbus products, resulting in the release of YTA temperature transmitters, ADMAG-AE magnetic flowmeters, digitalYEWFLO vortex flowmeters, YVP110 valve positioners, and EXAxt Series analyzers (pH and conductivity meters). Users have high expectations for fieldbus technologies, not only for lower initial setup cost by simplified wiring and multivariable devices, but also for improved accuracy and reliability by digital transmission, better usability, and lower maintenance costs by diagnostics. This paper introduces new technologies incorporated in recent fieldbus devices and discusses the future of fieldbus devices. Once conventional field devices are installed in the field, their internal software cannot be updated without replacing their amplifier units or the like. This means that users cannot utilize new software functions that emerge during the life cycle of their field devices, which may be 10 years or more. The software download capability allows system software to be downloaded to field devices via the fieldbus while the devices remain installed in the field. We incorporated the software download capability in EJA differential pressure transmitters and YVP110 valve positioners (shown in Figure 1). These models are the first devices to have passed the latest FOUNDATION Fieldbus Interoperability Test 4.51 as devices having software download capability. Figure 2 shows the block diagram of the YVP110. With the same fundamental configuration as that of the previous model, the new YVP110 has 2-MB flash ROM and 32-KB EEPROM, which are four times larger than those of the previous model, and 256-KB SRAM, which is two times larger than that of the previous model. 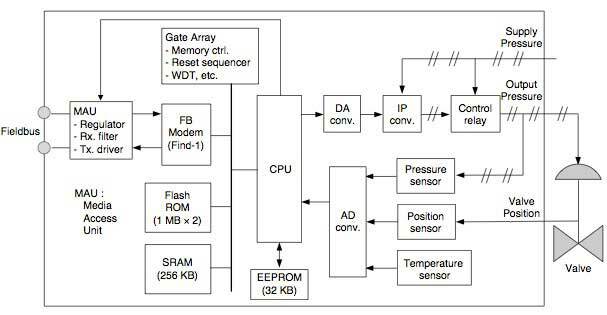 In line with these enhancements, a newly developed gate array is incorporated for the access control of large memory. When selecting a field device and its latest software file in an engineering tool of a distributed control system or the like for downloading software by means of point-to-point communication, it takes about 15 to 25 minutes to download the entire ROM image. After the download is complete, the tool sends the "activate command" to the field device, which then will reset its internal processor and start operating under the updated software. The new EJA differential pressure transmitters and YVP110 valve positioners conform to class 1 in the device download classes defined by FOUNDATION™ Fieldbus as shown in Table 1, and so their system software can be downloaded without interrupting the specified measurement and control actions except for the above-mentioned resetting action. Since queued user-triggered bi-directional (QUB) communication is used for downloads, the buffered network-scheduled unidirectional (BNU) communication for higher-priority transmission/reception of control data is unaffected. Class 1 A device that continues normal/full operation during the download process. Class 2 A device that does not continue normal/full operation during the download process. Class 3 A memory-constrained device may free up its Flash ROM and/or RAM resources after it is commanded to prepare for download. Next, we describe how current consumption has been reduced and function block execution speeded up in the latest fieldbus devices. First-generation fieldbus devices incorporated eight-bit microprocessors, whereas microprocessors with much higher performance, less power consumption, and broader working temperature ranges have emerged in recent years mainly for mobile devices, thereby enabling the current consumption of field devices to be slashed and their performance to be boosted. The fieldbus-enabled digitalYEWFLO vortex flowmeter (Figure 3) released in 2003 has a current consumption of approximately 10 mA, which is less than two thirds of its predecessor, while its 16- bit microprocessor can process an AI function block within approximately 30 ms, less than one third of its predecessor. Reduced current consumption increases the number of field devices connectable per segment especially where an intrinsically safe (I.S.) wiring system is required. Shortened control cycles can handle fast-response loops. More blocks can be executed in each device, allowing functions to be distributed in the field. At present, the function blocks supported by Yokogawa field devices are Analog Input (AI), Discrete Input (DI), Analog Output (AO), PID control, Output Splitter, MAI, MAO, and so on. We plan to incorporate standardized function blocks such as Integrator (IT), Arithmetic (AR), Signal Characterizer (SC), and Input Selector (IS), as well as Yokogawa-original flow computation function blocks to our field devices in future. Capitalizing on these function blocks and multivariable field devices such as the digitalYEWFLO enables primary calculation of process values within the field devices and distribution of control functions in the field, thus reducing the computation load on host systems such as distributed control systems (DCSs) and easing the communication traffic on the fieldbus. 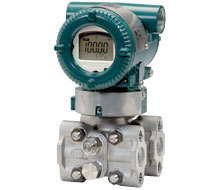 Today's field devices incorporate various self-diagnostic features, allowing external condition to be diagnosed via the field devices, such as diagnostics of a valve by the valve positioner for it and checks for clogging in the pressure impulse-line for a differential pressure transmitter. To use these diagnostics effectively, mere transmission of simple process values and statuses is not enough; more information needs to be acquired from the field devices, and representation to the users needs to be made easier to understand and use. As an example of such approaches, this section introduces the new diagnostics functions of the YVP110 valve positioner functionally enhanced in 2002 (style S1.01 or later, device revision = 3) and the dedicated utility for it, ValveNavi (R2.1). ValveNavi is a software package that runs on a personal computer or as a plug-in for Yokogawa's Plant Resource Management (PRM) package to facilitate initial adjustment and parameter tuning, display trend graphs, and diagnose the valves. A plug-in for PRM means an add-on utility program that can be run as necessary from PRM. Examples of ValveNavi's signature measurement windows are shown in Figure 4. Representative signature measurement functions are described next. 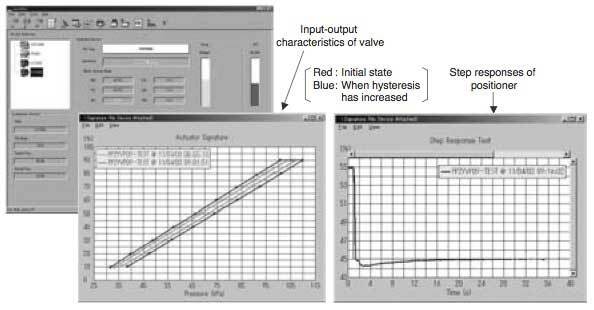 The left graph of Figure 4 shows the ValveNavi's window displaying input-output characteristics of the valve controlled by a YVP110. 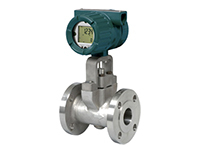 Containing a compact pressure sensor, the YVP110 scans the output pressure and measures the valve position. After scanning and measurement, ValveNavi fetches the measured data via fieldbus and displays them as a graph. The measured data can be saved in the computer and overlaid on past measurements for comparison to check changes in hysteresis and slope of the curve. This enables anomalies to be detected, such as looseness of the gland packing, damage of the return spring, and clogging or erosion in the valve. As standard, input-output characteristics are measured at the points in 10% increments; additionally, high-resolution signature measurement at more than 1000 points can be performed optionally. Up to two sets of measured signature data can be saved to the non-volatile memory of the YVP110. The right graph of Figure 4 shows the ValveNavi's window displaying the waveform of a step-response of a valve-YVP110 combined system. The step width and measurement period can be set prior to measurement. The step response data measured in a YVP110 is displayed in ValveNavi after measurement. In the same way as for input-output characteristics of the valve, a step- response can also be compared with past response data, thus allowing detection of an excessive overshoot and limit cycle due to an anomaly in the actuator or positioner. Regarding data sampling, up to 600 measurements can be sampled at variable intervals from 20 to 1000 milliseconds so that various patterns of responses can be obtained as required. We intend to incorporate the software download capability into other products, decrease current consumption of filed devices, improve the speed of function blocks, enhance the built- in function block models, and add various diagnostics functions in field devices. We will also develop diverse diagnostics and setting utility software running on a personal computer or PRM in order to enhance the functionality of field devices. This paper introduced the newly developed features of fieldbus devices and our development efforts. Fieldbus not only enables the digitization of field devices' signals but also has the large potential to deliver many new, attractive cost effective benefits to users. We are committed to improving both the performance and functions while responding to user needs to help reduce total operating costs and raise the reliability of plant operation. The product, software, and company names appearing in this paper are trademarks or registered trademarks of the respective holders. 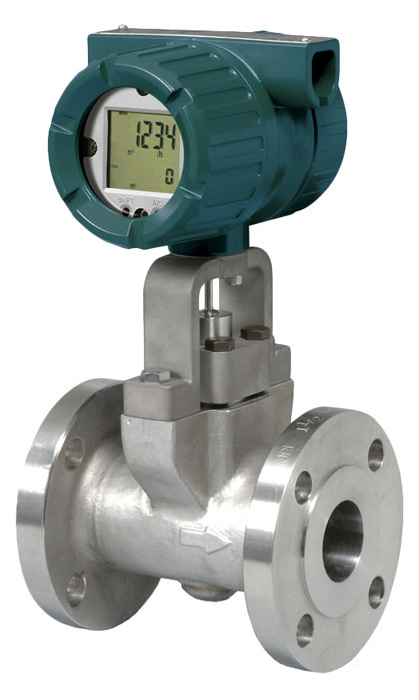 The classic vortex flow meter provides accurate, stable measurements for a wide variety of applications. The solution for high process temperature and cryogenic applications. 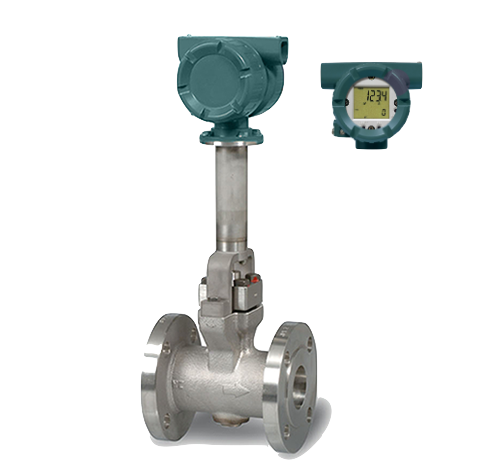 The multivariable type vortex flow meter features a shedder bar with an embedded temperature sensor that monitors temperature and calculates mass flow rate.